Micro-climate for favorable crop production. 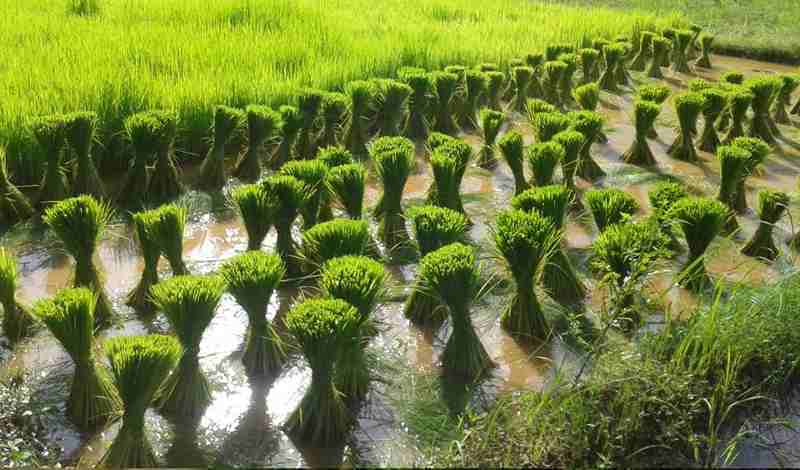 Following methods of rice cultivation are practised in India. Seeds are sown broadcast by hand. This method is practised in those areas which are comparatively dry and less fertile and do not have much labour to work in the fields. It is the easiest method requiring minimum input but its yields are also minimum. Ploughing of land and sowing of seeds is done by two persons. This method is mostly confined to peninsular India. This method is practised in areas of fertile soil, abundant rainfall and plentiful supply of labour. To begin with, seeds are sown in nursery and seedlings are prepared. After 4-5 weeks the seedlings are uprooted and planted in the field which has already been prepared for the purpose. The entire process is done by hand. It is, therefore, a very difficult method and requires heavy inputs. But at the same time it gives some of the highest yields. This method includes the use of high yielding varieties of seeds, sowing the seeds in a raised nursery-bed and transplanting the seedlings in rows so as to make weeding and fertilizing easy. It also involves the use of a heavy dose of fertilizers so that very high yields are obtained. 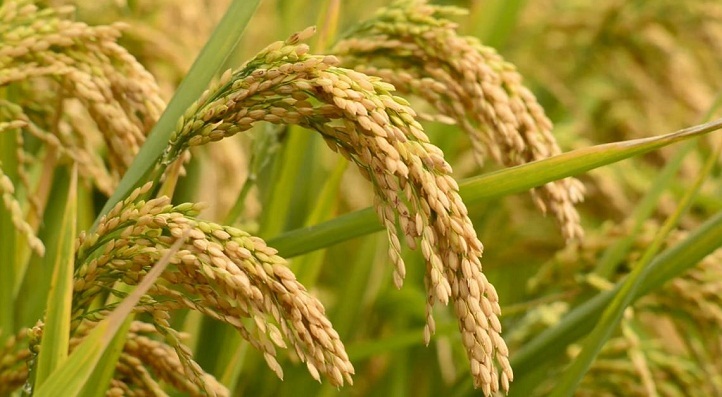 The Japanese method of rice cultivation has been successfully adopted in the main rice producing regions of India. Good variety an average yield of 2500 kg/ha. can be achieve. amazing app and if the pictures of diseases are provided it will be helpful to us…. Can we treat the seed with carbendzim and streptocycline together. Complete fertilizer requirements for rice if given , would be very helpful.